The struggle to become half the man i used to be . . . Being able to chug through Disney with my excited kids! Without goals it is much harder to get things accomplished. I achieve more with focus. Therefore I am planning to have some short term and long term goals. My first 4 goals revolve around clothing I own but have not worn in years. As I get close to my goals I will update the pictures. 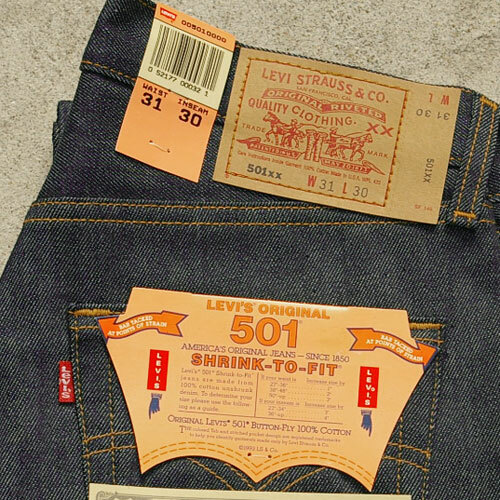 I have never owned a pair of Levi's 501 jeans and my final clothing goal is to be able to fit into a pair and buy them. 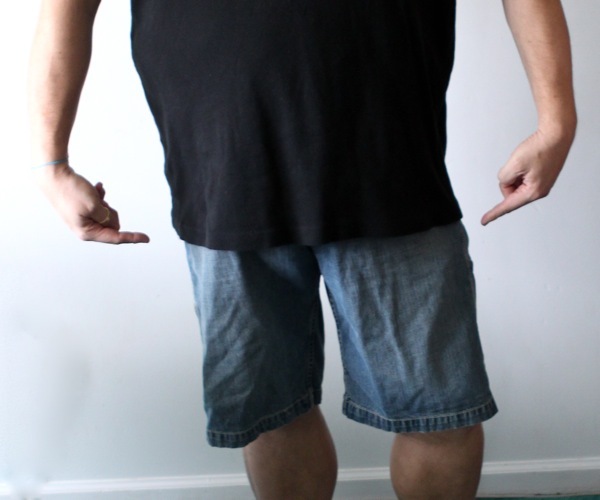 My Levi Carpenter Shorts were the first pair of 'LEVIS' I bought the last time I was successful at loosing some weight. And I hope to be wearing them again on our vacation this fall. I bought my Drexel Sweatshirt in 1987 when I was a freshman in college. 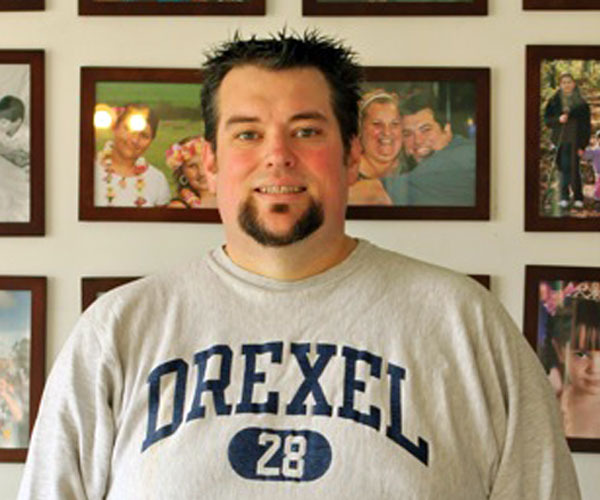 I loved my Drexel sweatshirt and wore it for a few years until it became too tight and it moved to the back of my closet. This past weekend while looking for something to wear I noticed it sitting quietly in the back of my closet. Currently it is a bit dusty and disheveled but it holds a high value in my eyes. My converse windshirt is probably the first piece of clothing I will be able to fit in. I have owned it for 15 years and being able to wear it again will be a sign that I am heading in the right direction. 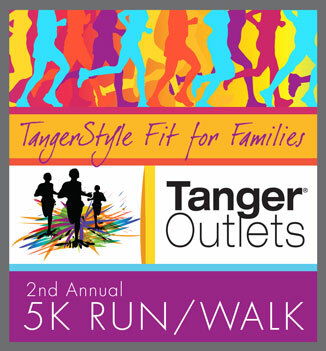 Do my first 5k run on Ocotber 9th and finish. Ended up doing Levi's Run in Lebanon 3 days before my 41st birthday! This is what I weighed around my 10th grade year in high school. 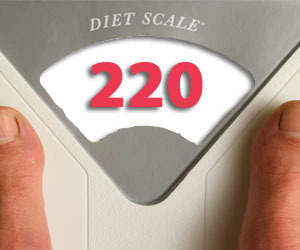 249 means I am closer to weighing 200 than 300. 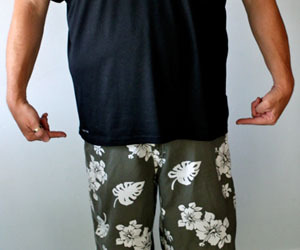 And closer to fitting into my favorite pair of shorts. This was my weight when I left college 20 years ago. Breaking this barrier will be a great day! 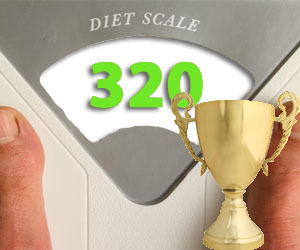 I have only dipped back below 300 once before in my life since arriving at the 300+ category. This day will be exciting. 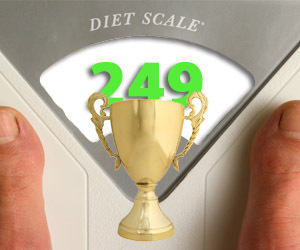 The last time I was able to lose weight 6+ years ago my first goal was 320. I was excited to weigh this much and this is the weight people started noticing I was loosing weight. PAST JOURNAL ENTRIES. . .
© 2009-2012 Smith Consulting. All rights reserved.